Okay, time to ‘fess up. There has been a very good reason for my near silence in recent weeks. It’s true, I haven’t really been ‘feeling’ the whole blogging thing lately, but that’s because I’m really, really terrible about writing about anything other than what’s on my mind. And I’ve had something pretty big on my mind lately that I’ve not been able to share on the blog or my social media. I did start an anonymous Twitter account, though, as I can’t keep my mouth shut completely! Yep, we’re expecting another baby! 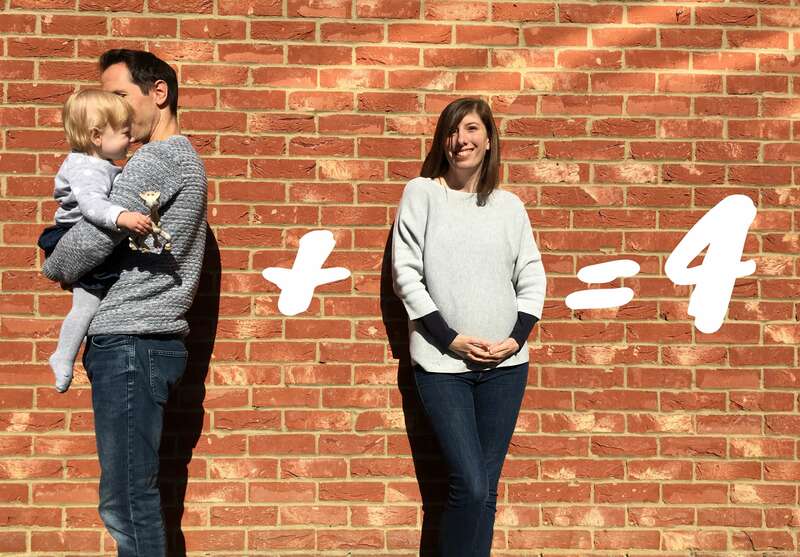 Which means, come next Spring, we’ll have two under two…eeeek! I’ll be honest, I am more than a bit scared about having not one, but two small children to look after, but I’m so excited for Little M to have a sibling. Hubby and I have both grown up as only children (I have two brothers but they are much older than me and had already left home when I was born) and I’m excited for Little M to have the companionship that we didn’t have. They might hate each other, but there’s an equal or greater chance that they’ll love each other to bits, so I’m hoping for the latter! I’ve got so many things going around in my head regarding this pregnancy that I want to write about; will I need to have another c-section? What are the chances of being able to have a successful VBAC? Will I be able to breastfeed? (I hope so, because I really don’t think I can exclusively express again, certainly not for as long as I did with Little M.) There are so many unknowns and so many things that I’m worried, excited and determined about in equal measure. One thing’s for sure; I’ll be needing all of the help I can get. So, what are your top tips for managing two children under two? Yay! Congratulations, that’s awesome news! Thank you! You can give me all of your having-two-children tips! Huge congratulations! I had 2 under 2 (There’s only 18 months between my first and second) and I have to say it was perfect. You need to remember that you’re not talking about having 2 children right now, Little M will be older and more independent. She will still have a nap in the day (hopefully) giving you precious time with the baby and she won’t be old enough for you to have to explain about where babies come from. I would definitely recommend getting a double buggy to make life easier when you’re out and about. Let the fun begin! Congratulations on your news. Love your cute picture describing the news!